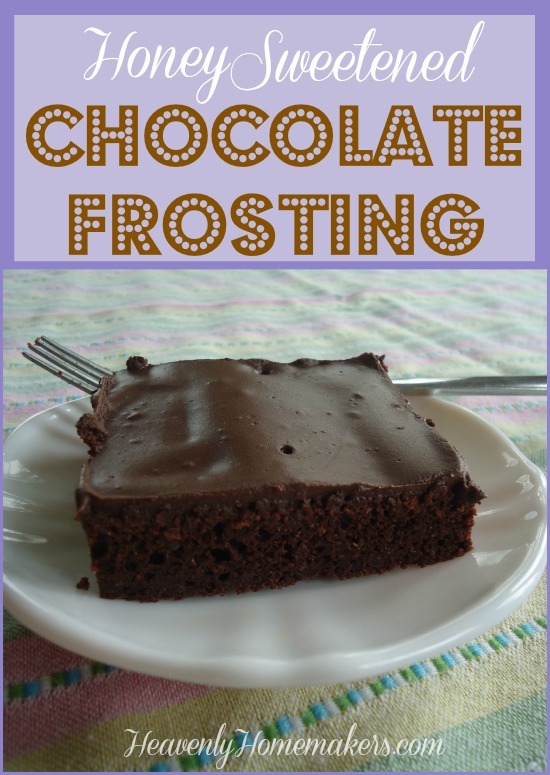 So You Wanted a Low Sugar Chocolate Frosting for your Low Sugar Chocolate Cake? 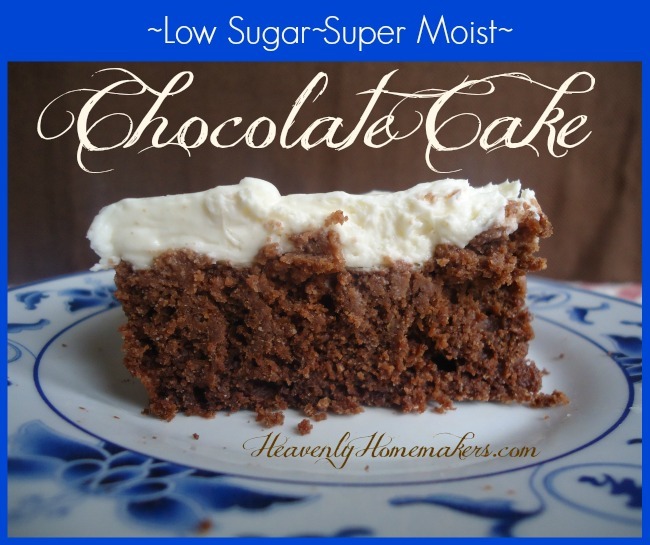 When I shared this Low Sugar Super Moist Chocolate Cake recipe and told you that I’d adapted it from a Texas Sheet Cake recipe, several asked if I could come up with a low sugar chocolate frosting to go with it. I mean, the Cream Cheese Frosting is great, but sometimes we just need some chocolate with our chocolate, yes? Here’s what I learned through this trial and error process: Making chocolate frosting with stevia is not so good. Spread on top of the cake it was so-so, but wow, the bitterness had too much of a bite, even for me – the one who loves dark-dark chocolate. So here’s the solution I came up with: I used honey. This frosting is really more of a glaze, because there’s not much in it to make it thick and creamy. But a thin chocolate glaze on a chocolate cake like this? Just right. Find the Super Moist Chocolate Cake recipe here. In a small saucepan combine butter, cocoa, milk, and honey. Cook and stir over low heat until ingredients are well combined and mixture begins to thicken slightly. Removed from heat. Stir in vanilla. Spread over cooled cake. We really liked this cake with whipped cream on top. 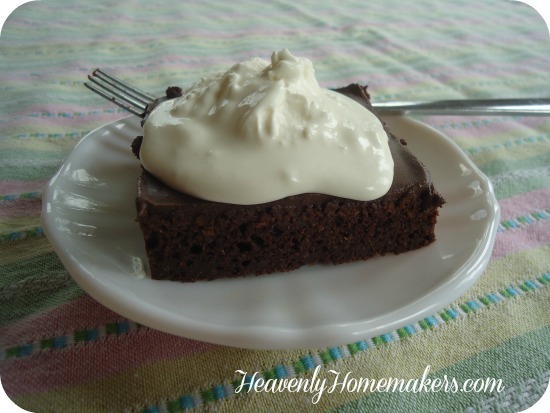 I simply whipped the cream, then added a few drops of stevia. I continue to be fascinated by the fact that we can take so much of the sugar out of recipes and still turn out a delicious treat. And guess what??!! Coming up next week…Low Sugar Carrot Cake with Maple Frosting recipe. YES!! I played with a recipe and my family loved it! I’ll get it typed up to share with you soon. Hi! I make a grain free sheet cake and when it’s done, I sprinkle Enjoy Life chips on top, let them melt, then spread them around. That’s what we use for frosting. Yum! I would love to hear your thoughts on how to handle a twelve year old child who has a real sweet tooth and a salty one as well! I don’t want to be a nag but with kids having freedom to serve themselves, it is hard not to. I try to keep our meals very healthy and provide healthy snacks. Any advice you have is welcome! One of mine really has a sweet tooth as well. We try not to make an issue of it (much) so we don’t cause rebellion, but we do place limits (when they are home) and try to remind them of healthy choices often. It IS hard not to nag, especially as they get older and have more freedom to make their own choices. Ack!